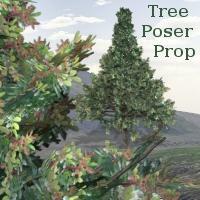 It's a poser prop tree, i hope you may find it useful. Tested only in Poser 7. Have fun! blitz23 (7 years ago) Inappropriate? VuDuDawL (8 years ago) Inappropriate? This works great in DAZ Studio as well - used it in this render (along with Spring and Autumn trees!) and they all rendered absolutely beautifully! http://vudu-dawl.deviantart.com/art/Stolen-Child-201064511 Thank you so much for sharing such lovely trees! mingo (8 years ago) Inappropriate? Guardian_Angel_671 (8 years ago) Inappropriate? crystal pegasus (11 years ago) Inappropriate? Works beautifully in Poser 6, as all the trees do. Valentin3D (11 years ago) Inappropriate? Thanks so much for all the beautiful items!